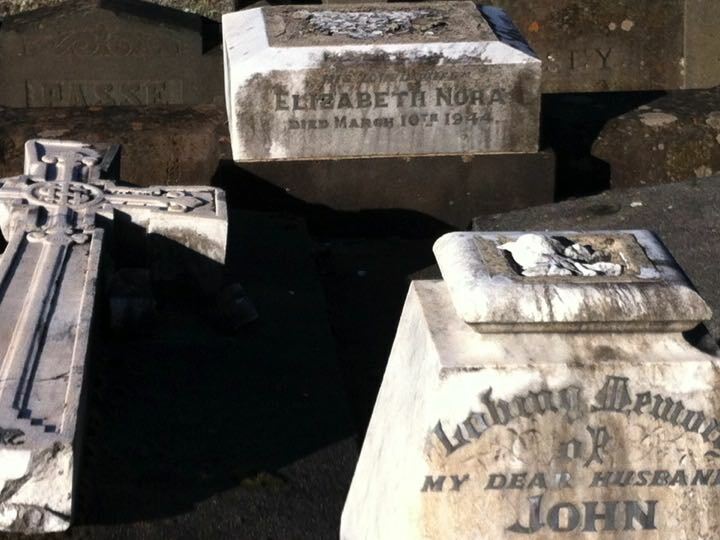 John La Gerche is buried in the Old Ballaarat Cemetery with his wife Nora. The funeral of the late Mr John La Gerche, of Ligar Street, Ballarat, took place yesterday, and was of a strictly private nature. The deceased was a very old colonist. His death took place after a comparatively short illness. He was, for a great number of years, connected with the Lands Department, and was highly respected by a large circle of friends. Deceased leaves a widow and a grown up family. His remains were interred in the Ballarat Old Cemetery, the body being encased in a massive polished casket. The coffin- bearers were Messrs F. Stafford, J. La Gerche, F. Pizzey, and F. Hollow. The pall-bearers were Messrs W. Cox (ex- president,representing the United Friendly Societies Dispensary), Norman, Percy and Alfred La Gerche, and R. Quittenton. The Rev. Canon Dalton, of St. John’s, officiated at the house and grave. The mortuary arrangements were carried out by Mr. R.J. Miller. I went to see La Gerche’s grave many months ago. The Cemetery Trust gave me permission to restore it etc., but in the interim, I had met Bronwyn and Geoffrey La Gerche at the Historical Society Honour Roll Dinner. Therefore I advised the Trust of this fact and also told Bronwyn & Geoffrey of the existence of the grave of Nora and John La Gerche. Suzanne Smyth (a great grand daughter I think) is going to restore the headstone (Celtic cross made from marble) as her contribution to the LG100 Project, which is really wonderful (image above). There is also an unmarked grave of a ‘La Gerche’ in the Creswick Cemetery; it belongs to a one month old baby boy who died of natural causes.